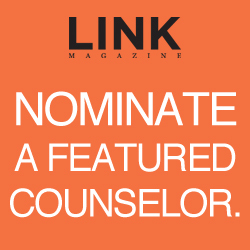 Do you know someone who deserves to be recognized as a featured counselor? Gillette originally studied psychology and wanted to become a teacher, but her coursework led her down a different path. “Through various internships in undergrad, I found working with teens, helping them process their emotions, cope with difficulties and make good decisions to be something I truly enjoyed,” says Gillette. 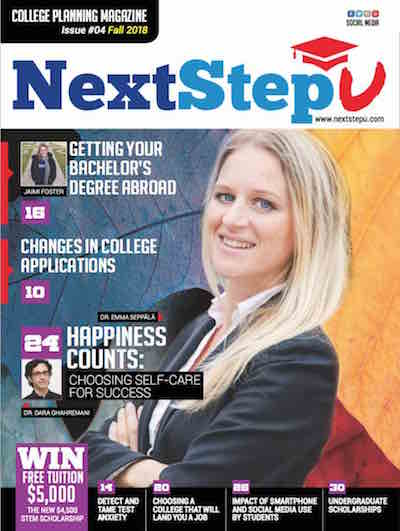 So she pursued a master’s degree in counseling services and made helping teens the core of her career. Although Gillette loves seeing the positive effects of being a counselor, she also deals with the job’s difficulties every day. One of the most significant challenges is convincing parents in her small, rural town that college is worthwhile for their children. “I have found their lack of support usually comes from fear of the unknown. How do they pay for college? Will they lose their child to a far off place?” Gillette says. Speaking about these unique challenges, Gillette says “I see it as an opportunity to teach.” In order to meet these issues head-on, she invites parents to talk with her every year beginning in eighth grade. This gives them the chance to take 30 to 45 minutes to discuss the opportunities open to the student. Most of the students Gillette counsels will be the first in their family to earn a college degree. In order to help educate the entire family about college and all it offers, she organizes annual campus trips. Thanks to Gillette’s dedication, each student will graduate having visited at least four college campuses. 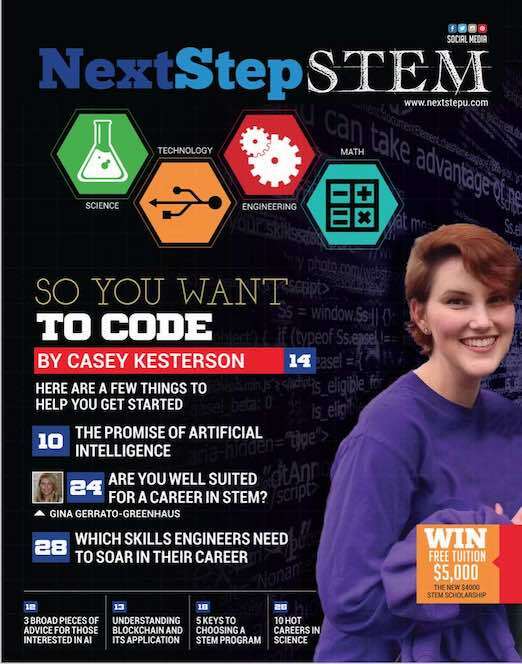 She has also established a College Week program and a Career Week program, which are both geared to all K-12 students. “This truly helps foster a college-going atmosphere in the entire district,” Gillette declares. For someone who originally planned on becoming a teacher, Brigitte Gillette’s devotion to her job as a school counselor is extremely impressive and admirable. Her psychology background provoked her interest in learning how we develop, think and behave. She uses these skills daily to provide her students with college and career advice, along with emotional support. Gillette admits that she admired her own high school counselor, who was also her volleyball coach. This information makes it clear that Gillette’s own students undoubtedly admire and respect her. Whether it is one-on-one parent meetings, campus visits or the College and Career Week programs, her dedication to her students and to her career is astonishing. And this isn’t lost on Gillette. 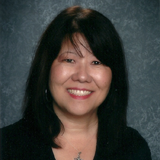 “I am blessed to have found a profession I truly enjoy and hope to foster that in my students as well,” she says. Bambi Berger always wanted to follow in her grandfather’s footsteps as an educator. She even started down that path as an Intervention Specialist. However, after seven years as a teacher, Berger realized that what she really wanted was to become a school counselor. After making this important decision, Berger found that, despite the challenges and obstacles, counseling students was the best decision she had made for herself. Berger’s enthusiasm about her work shows how fulfilling she finds her new career. However, Berger does have her challenges when it comes to finding ways to counsel some of her students. Says Berger, “the biggest challenge I face is helping students through some of their personal struggles.” For some students, a high school diploma does not seem like a priority if they have personal issues weighing on their mind. But Berger makes it her mission to help them through their struggles and, as she describes, “get[ting] them to realize that a high school diploma is everything!” She never lets them forget that the hardships of high school are temporary and that a diploma will make life after graduation much more fulfilling. Some challenges do prove harder than others. Berger claims that “suicide assessments are always the hardest to deal with.” She handles these situations professionally, but still makes it clear to the student that she personally cares about his or her life and the troubles that he or she is facing. The most difficult part about dealing with these situations is the fear that even though she tries her hardest to help students in need, she always wonders if she could be doing something more. The fact that Berger is so concerned about her students and her own behavior when helping them demonstrates how dedicated she is to her job. Even when the job is extremely demanding. While there are obstacles that Berger faces as a counselor, there are also many rewards. “The biggest reward for me is seeing students walk across that stage and receive their high school diploma,” Berger describes. All the hard work put into helping students is realized when students have earned their diplomas and are ready to start their next stage in life. And Berger makes sure that they are ready to start their new path by implementing a program called Reality Check. This program provides students with mock incomes based on their specific interests and what they might pursue in the future. Students then have to make a budget that fits this income and all of their costs. Planning ahead and knowing what to expect is central to ensuring students receive their diplomas and is crucial to Berger’s career. “I always attend my district’s professional development days to keep up with my district changes. I also like to attend the Ohio School counselor conference held in Columbus each year,” Berger says. Keeping up-to-date with the changes in the counselor field is important for her. She makes it a priority to find out about updates, changes and news that will impact her job and the students’ high school careers. If students are going to receive a diploma, Berger has to constantly find out about the best ways to help them achieve that goal. Berger’s dedication as a counselor is obvious to anyone who speaks with her. Counseling is full of rewards, but also contains hardships and challenges. Even in the face of the difficult aspects of her job, Berger resolves to help her students graduate. Her personal interest in the students’ success makes the more challenging aspects of her job worth all the while. “I have always enjoyed working with young people,” says Rita Koontz. This, she explains, is her main reason for being a school counselor. 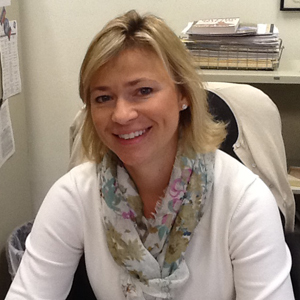 Koontz is a College and Career Counselor at Bethlehem High School in Bardstown, Ky. Her job is to help students plan what to do after they graduate from high school. This includes career planning and college help, so Koontz’s position is different from most counselors. “There is another counselor at our school who deals specifically with personal issues. When she is absent or busy, then I assist in this area,” she says. Even though it is not technically in her job description, Koontz still makes sure she is emotionally there for her students. In fact, helping them has been an ongoing and challenging part of her career. “The most difficult situations has been dealing with personal issues of students whether that is the death of a family member, friend, suicidal thoughts, cutting, being abused.” Koontz describes how she cares about her students’ problems and tries to empathize with them. This understanding explains how Koontz excels in the college/career prep and the emotional dimensions of her career. In fact, seeing the students succeed is the most rewarding aspect of Koontz’s position. “Students enter high school, stressed out about locker combinations, making friends, acclimating…by the time they leave most of them have gained confidence,” she explains. The students’ journey from nervous freshmen to mature, adult seniors is the best part of the job, according to Koontz. Even if the school’s small size is challenging for her, Koontz still enjoys getting to know the students as individuals. Koontz is able to do that with the help of the academic dean and the principal. As a group, they talk in depth with every senior student. “We try to get a handle on where the student plans on being after high school, scholarship opportunities, goals and objectives…,” says Koontz. “This gives us an opportunity to follow up with each student.” She also provides a junior student/parent meeting every spring. 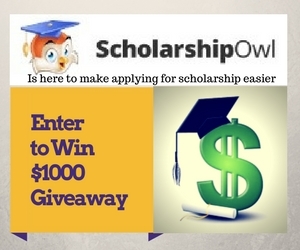 This helps the students prepare for senior year, and the college visits, applications and testing that last year of high school requires. Ensuring that each student receives individual help and attention is hard for Koontz, but it provides her the opportunity to help all of her students as much as she can. But that doesn’t mean that Koontz does it all alone. “My greatest source is my peers and my colleagues,” she claims. 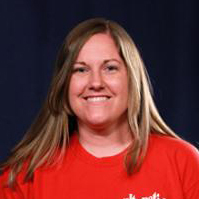 Their help and mutual support ensures that Koontz is not alone when she helps her students and also guarantees that she receives support from her coworkers. Working in a small school means there is more faculty responsibility, but it also means that the faculty members frequently collaborate in order to guide their students. In addition, Koontz reads constantly and participates in online webinars so she can keep up with the always-changing counselor field.